Limiting the risks is a key to make floating wind projects profitable and accessible. DIETSWELL has therefore been designing the TrussFloat with several key drivers. One of the main objectives is to limit the risks during each phase of the product lifecycle. Floating wind has basically consisted of a floater with the standard wind turbine. This emerging form of power is perceived as an extension of two industries. On one side of the wind turbine comes from 50 years of onshore developments, and today, it has been 20 years of offshore wind on fixed foundations. On the other side, the floating technology has been mastered for 50 years by the Oil & Gas industry, with large and similar development. DIETSWELL experience lies with the early offshore projects. And DIETSWELL has been showed the important activities in offshore and floating solutions since its creation in 2000. Thus the TrussFloat is a natural inheritance of years of technological progress, which limits the risks. Before opting for the most suited technology for floating wind, it is important to consider the main drivers. 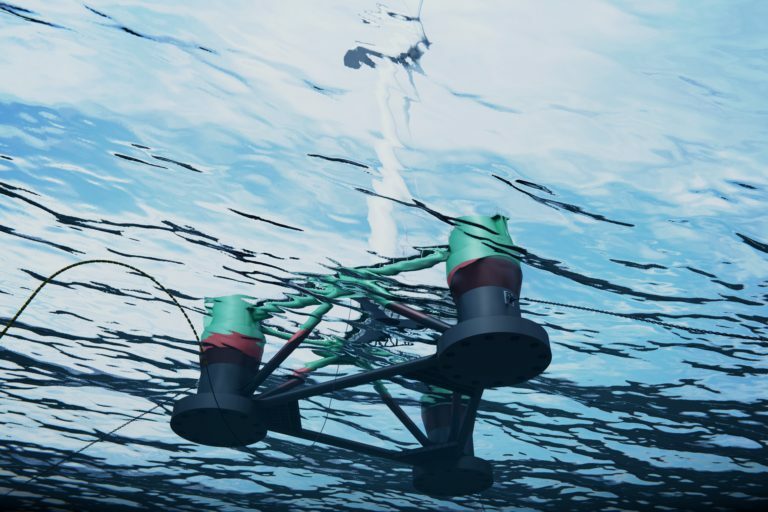 Shallow water depth: the early projects for floating wind come with shallow water depths which is related to Oil and Gas offshore. It is as “shallow” as 40 meters, compared to the hundred meters of water depth. Production cost and serial production: the cost parameter is the main driver when it comes to project financing. Commercial-scale projects will be composed of dozens of units. And that explains why the price per units played the crucial key. Amongst the floating technologies from the offshore Oil &amp; Gas, three technologies have emerged. The Tension Leg Platform (TLP), the SPAR buoy, and the semi-submersible are as follows. All these three solutions have been carefully examined by DIETSWELL before selecting the latter. They boast several striking advantages and potential interests of specific developments to both TLP and SPAR. Although it accompanies high-risk and high-cost offshore operations and suffer from the quite shallow water depth. As mentioned before, it is essential to limit the size of marine operations, which brings low costs but also risks at the same time. The Truss float concept is as light as can be when it comes to the offshore operations. The wind turbine is installed from the quay, contrary to the grounded offshore wind or some other floating concepts. The floating wind turbine is thus towed to the installation site and connected to pre-laid moorings. The decommissioning operations are also reduced as much, being the reverse operations of the installation. DIETSWELL has been awarded an ADEME financing, after a call for the tender process. Several reviews are completed by the experts, not only who expressed the positive opinions but also about the commitment of DIETSWELL, who deliver a low-risk product.